class="post-template-default single single-post postid-342721 single-format-standard group-blog masthead-fixed full-width singular wpb-js-composer js-comp-ver-5.7 vc_responsive"
Three Nebraska communities are interested in becoming the new homes of the U.S. Department of Agriculture Economic Research Service (ERS) and the National Institute of Food and Agriculture (NIFA). In August, Perdue announced that most ERS and NIFA personnel would be moving to outside the National Capital Region by the end of 2019 and invited interested parties to submit proposals, with a deadline which had been extended to October 15, 2018. In total, USDA received 136 expressions of interest from parties in 35 states. 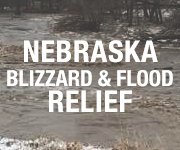 By: The Nebraska consortium, led by Governor Pete Ricketts and former USDA Secretary Mike Johanns and including the State of Nebraska, University of Nebraska system, City of Lincoln, Nebraska Innovation Campus Development Corporation, Nebraska Department of Economic Development, Nebraska Department of Agriculture, Nebraska Chamber of Commerce, Lincoln Chamber of Commerce, Omaha Chamber of Commerce, and public and private business. USDA intends to select the new location or locations by January 2019 and will retain a consultant with expertise in relocation. IL Champaign Champaign County Economic Development Corporation, the University of Illinois at Urbana-Champaign, Parkland College, the University of Illinois Research Park, LLC, and Champaign and Urbana. KS Salina Salina Community Economic Development Organization in cooperation with the City of Salina, Saline County, the Salina Area Chamber of Commerce, Salina Airport Authority and numerous private sector developers/realtors along with representatives from the Kansas State Polytechnic Campus, Kansas Wesleyan University and Salina Area Technical College. NY Greater Rochester FLX Food and Beverage Consortium is led by Greater Rochester Enterprise, a not-for-profit economic development organization. Members of the Consortium include Cornell University and the Cornell University College of Agriculture and Life Sciences; the Cornell Agriculture and Technology Farm; Empire State Development; the New York State Department of Agriculture and Markets; the New York State Governor’s Office; Rochester Institute of Technology; Tompkins County Area Development; the University of Rochester; and Wegmans Food Markets Inc.